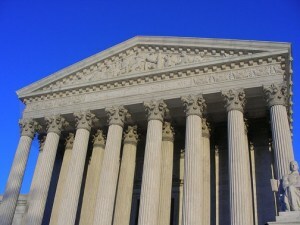 Supreme Court Ruling Supports Borrower's Right to Rescind Mortgage | Fournier Law Firm, Ltd. In a unanimous decision this week, the U.S. Supreme Court ruled that, in certain cases, borrowers may back out of their mortgage within the first three years simply by writing a letter of intent to rescind the mortgage. Lower courts have ruled that the borrower must file a lawsuit against the lender to rescind the mortgage. The high court disagreed stating, “… so long as the borrower notifies within three years after the transaction is consummated, his rescission is timely. The statute does not also require him to sue within three years.” According to an article by RISMedia, this ruling could make it easier for homeowners to walk away from upside-down mortgages. Read the entire article for the full story.